They say a picture speaks a thousand words. If that is true, than a video likely speaks one hundred thousand. There are very few words in this video, but what is there is a simple. clear explanation of why Jerusalem is holy to Israel and how it is uniquely ours within the context of history. Watch the video and please share it with others. I don’t think it is possible to give a better history of this city than what is shown here. 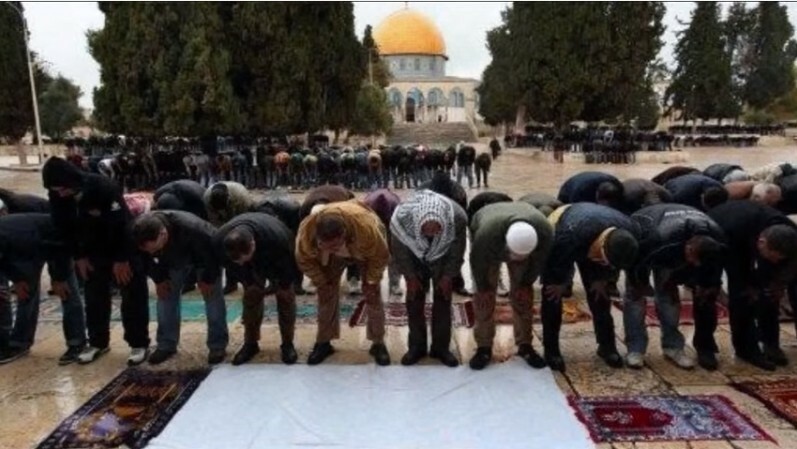 How the Temple Mount is treated, how Jews and Arabs pray. How they treat the Temple Mount and more. Our history, our present and our future, all rolled into this video. Jerusalem is the eternal, united capital of the Jewish State of Israel. The fact is,while Palestinians have accused us of desecrating the Temple Mount, this video shows that we are not the ones desecrating it. Can you imagine Christians allowing their children to play soccer and have a picnic inside their churches? I have never seen children playing ball in or near the Kotel, the Western Wall. And before you say that you’ve seen picnics and playing children in the yards of churches, remember that all of the Temple Mount is holy, though clearly there are areas that are more so. Watch the video and you will quickly see why others are against it. One video showing Jerusalem’s history, citations from the Koran that support our historical ties to the land of Israel while showing an absolute lack of documenting any Muslim ties to Jerusalem. at the same time, the video explains our ties to Jerusalem, back to the time of King David and forwards. Share. Watch and watch again. I have…it’s a beautiful video (and yes, I saw the spelling mistakes but ignore them and focus on the meaning).